We are the world’s largest online interactive product and suppliers database serving the fire protection and fire safety industries with site users from Europe, USA, Asia, Middle East, South & Central America and Australasia searching for the latest fire alarm systems and industrial high-risk fire protection equipment. Join the Fire Safety Search community by subscribing to the Fire Safety Search Newsletter or via Facebook or Twitter. Fire Safety Search is the highest ranking most used website serving the international fire protection and safety community. Fire Safety Search is an interactive product guide for fire industry professionals with high monthly unique visitor number statistics. The majority of our visitors are interested in purchasing or researching fire safety and fire protection equipment. Fire Safety Search has the largest and most detailed database of fire protection and fire safety equipment and products in the world. Fire Safety Search has been specially designed to make searching for products a quick and easy experience. You can browse through categories, search using keywords or a company with ease. 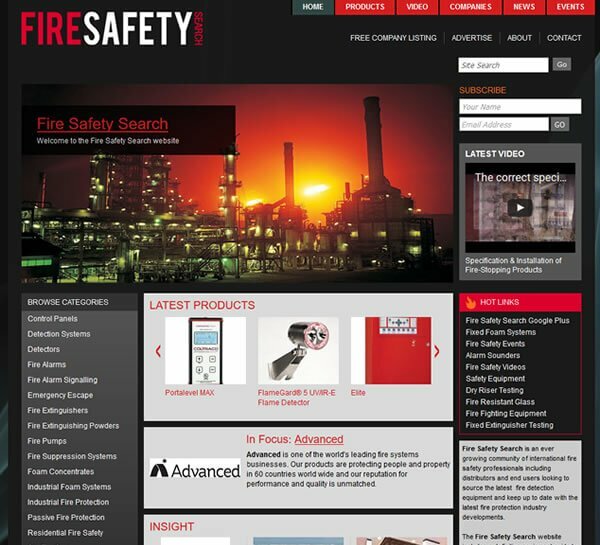 After the success of Fire Product Search our sister site that was first launched in 2007, we launched the Fire Safety Search website in the summer of 2011. This is the second generation of the Fire Safety Search website and was launched in June 2017. We are constantly updating and upgrading the site to serve better our customers and users. Over the last 6 years, we have built industry contacts, a subscriber database and serve an ever-growing international community of fire safety industry professionals. The April 2017 Fire Safety Search Newsletter was sent to our database of 8,185 internationally based fire industry trade and end users. 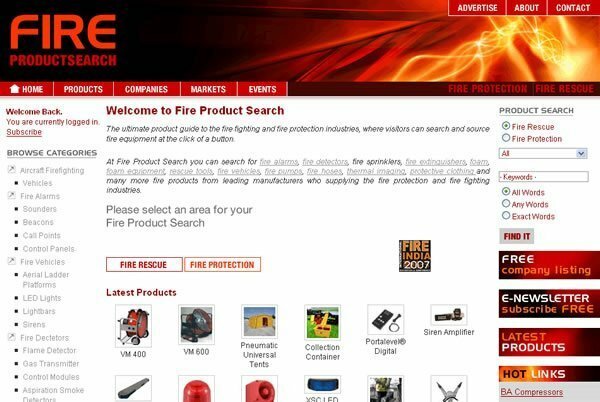 The original Fire Product Search launched in 2007. The original Fire Safety Search launched in 2011.